Robert “Bob” Dewane Harr, 57, of Parker, CO received his Eternal Reward March 29, 2019. He was born November 10, 1961 to Donald and Lila (Snelling) Harr at Peoria, IL. Always a hard worker, Bob worked at DeKalb and W&A Sprinkler during his high school years. After graduating high school in Yuma, CO, he attended North West Kansas Area Vocational-Tech graduating in 1981 and began his career as a Civil Designer. He married Lisa Millhollin, the love of his life, June 21, 1986. Briefly settling in Lakewood before making Parker, CO their home for the last 32 years. When he wasn’t working, you would find Bob riding his road bike, camping, wood working or fellowshipping over a cup of coffee. He loved to travel to tropical destinations, spend time in his garden and he held a 2nd degree black belt in Taekwondo. Bob always had at least two or three projects going (and he finished them). He could fix or improve almost anything. Rarely did a nut, bolt or scrap of wood or metal go to waste. More than anything, Bob cherished his family and family time. 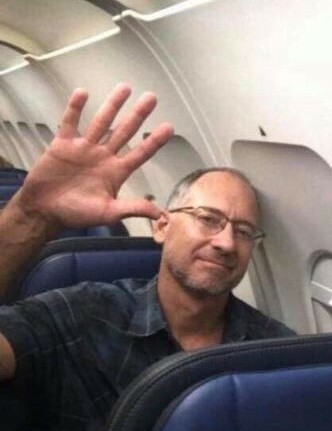 He leaves to cherish his memory, his wife of 32 years, Lisa of Parker, CO; daughter, Amy Harr of Aurora, CO; son, Nathan (Bailey) Harr of Wellington, CO; sister, Julie Rahm of Yuma, CO; sister, Tena Stumpf of Eaton, CO; sister, Deanna Smith of Yuma, CO and numerous nieces, nephews and cousins. He was preceded in death by his parents. Visitation will be from 3-5 PM, Thursday, April 4, 2019 at The Parker Funeral Home, 10325 Parkglenn Way, Parker, CO.
A private family burial will take place with a public Celebration of Life Service to be held at 3:00 pm, Friday, April 5, 2019 at Crossroads Community Church 9900 S Twenty Mile Rd, Parker, CO 80134. In lieu of flowers, donations can be made in his name to Youth For Christ in Honduras at www.yfci.org/appeals/Bob-Harr-Memorial.